Image Credit www.ccPixs.com.Incentives intended to stimulate the development of more treatments for rare diseases are being exploited to boost the profits of pharmaceutical companies, new research led by Bangor University shows. Researchers found that companies which market drugs for rare diseases (known as orphan drugs) are 5 times more profitable and have up to 15% higher market value than other drug companies. The study, carried out by experts from Bangor University and the University of Liverpool, and published in PLOS ONE, examined the performance of 86 publicly-listed companies which produce nearly 200 orphan drugs. It did this by comparing with 258 matched control companies which are not manufacturers of orphan drugs. Diseases which affect less than 5 in 10,000 of the population are considered to be rare. Without incentives, companies would not consider it commercially worthwhile to invest in new treatments. Regulations in place since 2000, has seen 122 orphan drugs being authorised for the benefit of patients suffering from rare diseases. But drugs for niche diseases can command hefty prices. 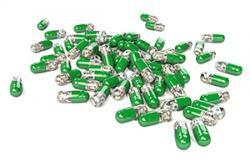 The cystic fibrosis drug, Kalydeco (ivacaftor) is priced at £14,000 per patient per month. Indeed each one of the world’s 10 most expensive drugs is an orphan, with Soliris (eculizumab) being the most expensive at £340,000 per patient per year. Although these are prescribed to fewer patients their high prices can result in revenues equivalent to traditional blockbusters. In fact almost a third of drugs for rare diseases now exceed £1bn in annual sales. The global orphan drugs market is expected to reach £144bn by 2020, and account for 19% of total branded prescription drug sales. “There is a worrying trend in the escalating prices of orphan drugs which the NHS is finding it difficult manage,” said Professor Hughes. The study authors recommend changes to policy that might result in more affordable treatments for rare diseases. The first relates to how orphan drugs are defined. While all orphan drugs are for rare diseases that are serious or potentially life threatening, a distinction should be made between drugs with specific use for one condition (often for ultra-rare hereditary diseases), and those used in a number of conditions. The incentives – which include 10 years of market exclusivity – could be better designed, and linked to how much revenue each drug makes. Companies should also be reimbursed according at prices which more closely reflect the value of the medicine. Finally, there is a clear role for non-commercial involvement and ownership to encourage socially motivated orphan drug development.